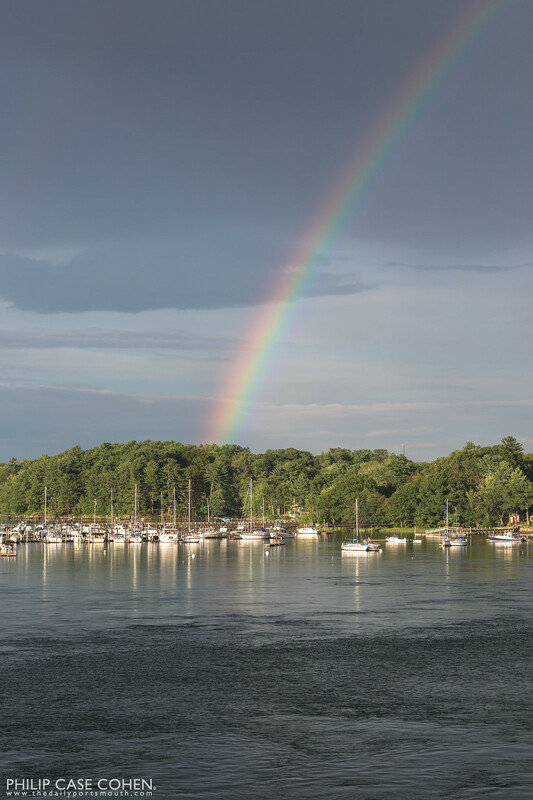 A vibrant double rainbow appeared over the Great Cove Marina in Eliot, Maine after last night’s thunderstorm. 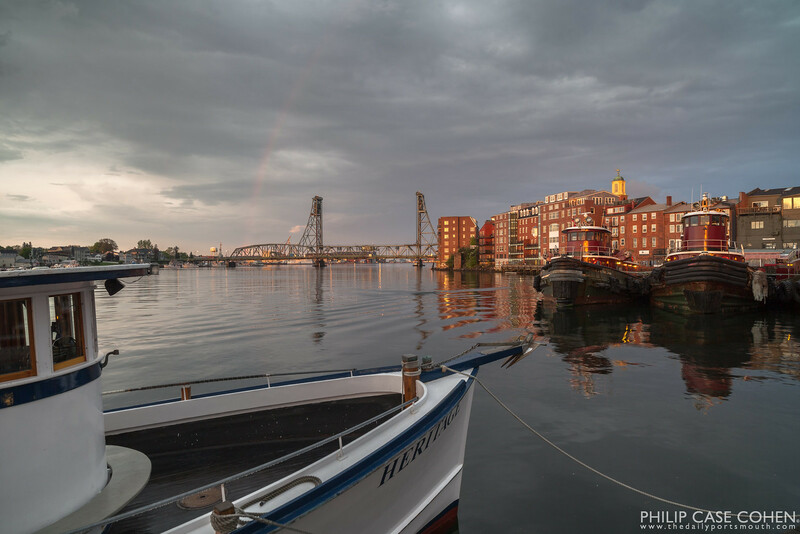 Because of my location and equipment on hand, I only captured the single rainbow – but love its vibrancy and how it disappears behind the trees on the horizon. Calabash Cove is a small resort near the northernmost point of Saint Lucia. It’s a beautiful property that hugs the coastline, full of natural lush greenery and plantings that compliment the facility and the private cottages that dot the coastline. One of the features of the property is this lovely little gazebo that overlooks the shoreline and has an unbelievable vantage point towards the west and sunsets every night. I loved the flowers and the colors throughout the property, and the rich blue sky and amazing clouds that always seemed to hang around. 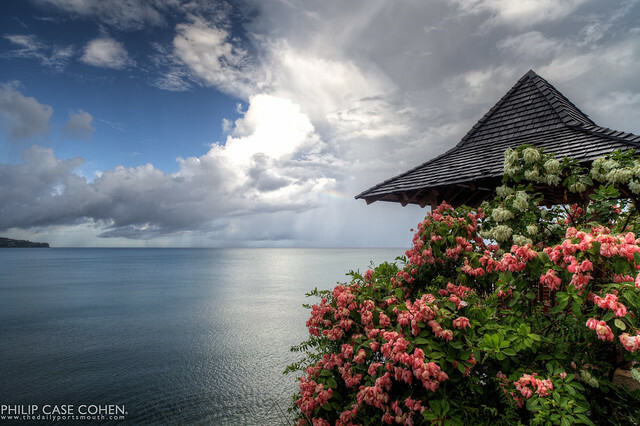 Just at the left corner of the gazebo, a faint hit of a rainbow can be seen as a result from the rainstorm out on the horizon. With the rain and the sun come rainbows. Here, a visit to the Joseph Sawtelle Pier was rewarded with some sunshine and a rainbow along with some much needed rain (my lawn appreciates it). 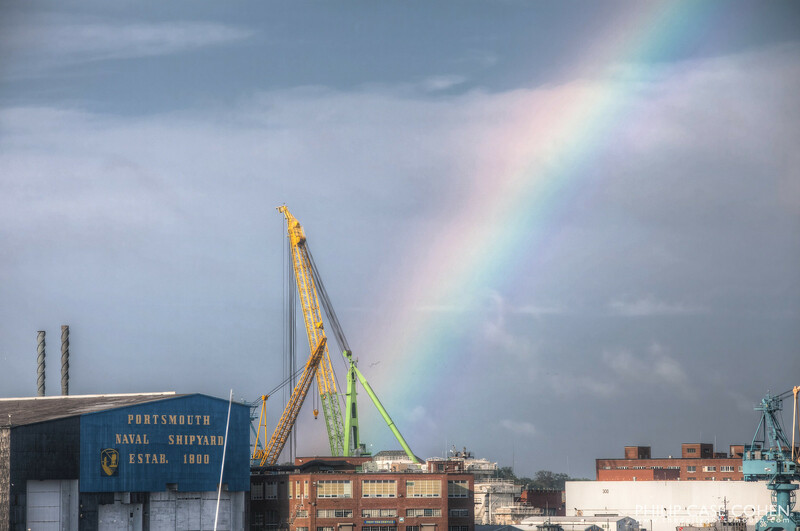 The Portsmouth Naval Shipyard can be seen in the background with its towering cranes. 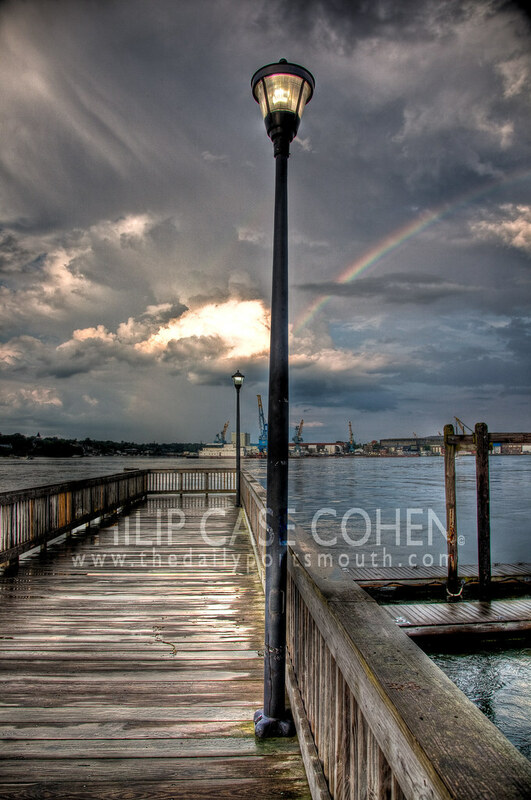 Later this week will feature another one of Prescott Park’s piers. 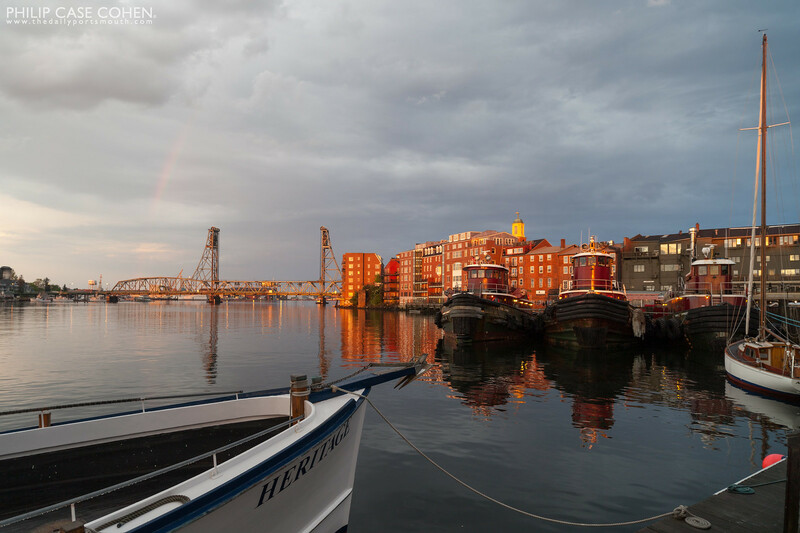 Read a little bit about Seacoast legend Joseph “Joe” Sawtelle HERE, in a piece written by local historian Dennis Robinson. Sawtelle was a real estate developer and a man of the community. 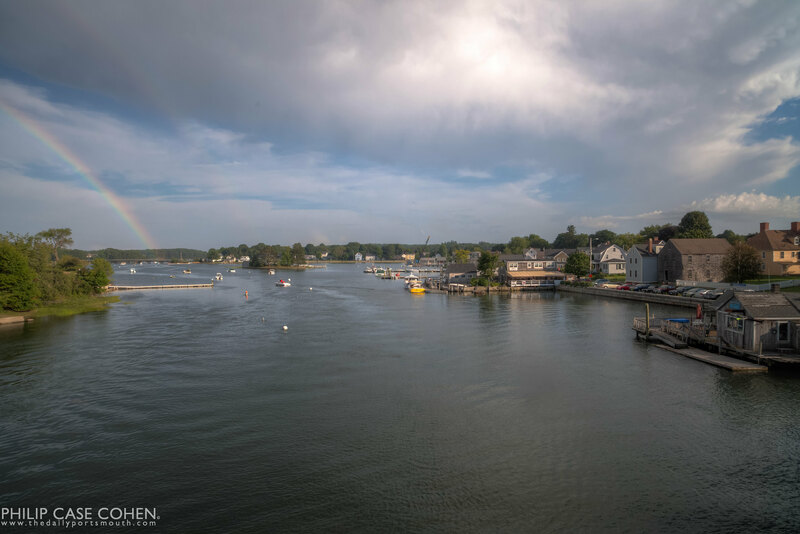 Unfortunately Joe passed before I arrived here on the Seacoast, I have a feeling I would have enjoyed having the chance to meet him.